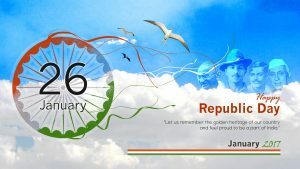 If you need some image for celebrating India Republic Day, you can use this one. 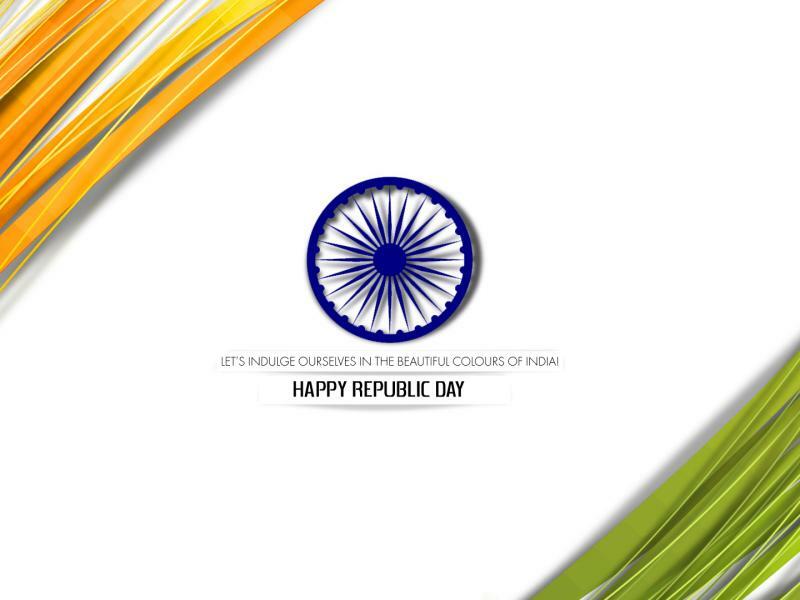 A simple design of Republic Day wallpaper with abstract lines in saffron and green color. 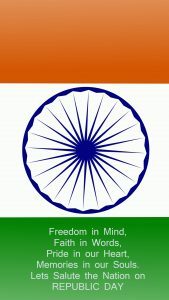 It has white background and Ashoka Chakra symbol at the center of this wallpaper. 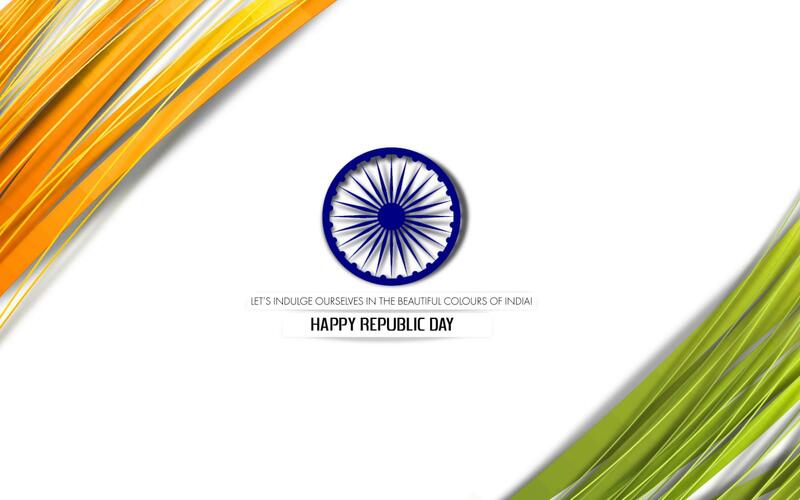 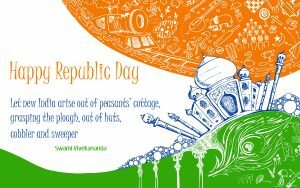 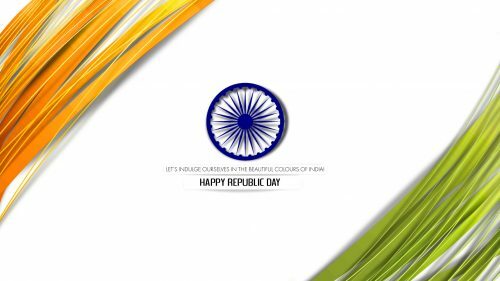 Below the symbol, there is a text of “LET’S INDULGE OURSELVES IN THE BEAUTIFUL COLOURS OF INDIA, HAPPY REPUBLIC DAY.” I think that this wallpaper can be a good alternative to say congratulation on your India friends on their Republic Day celebration. 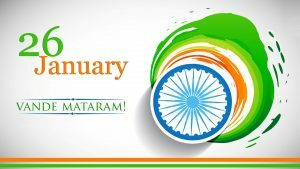 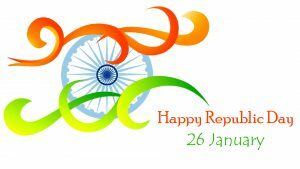 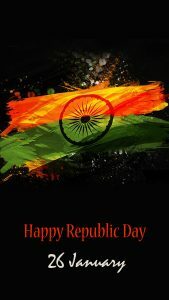 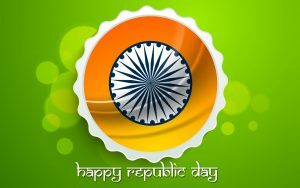 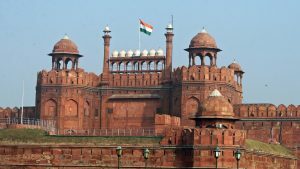 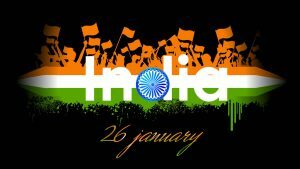 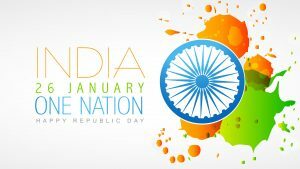 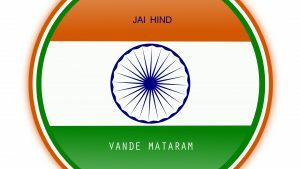 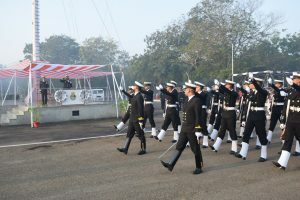 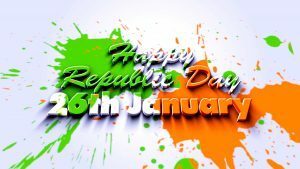 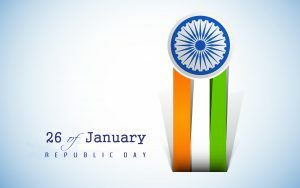 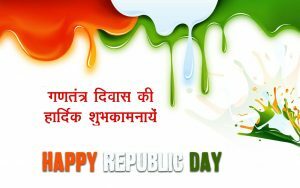 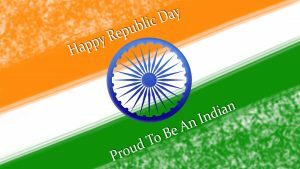 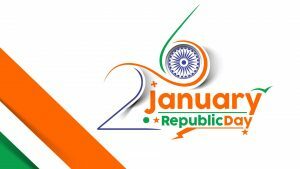 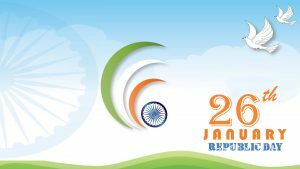 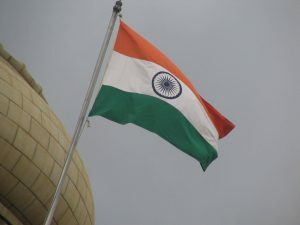 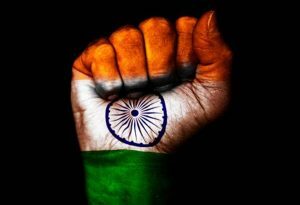 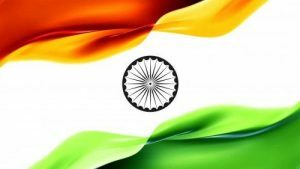 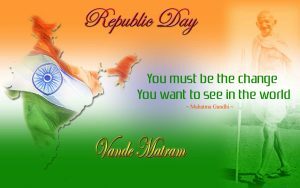 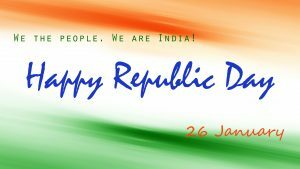 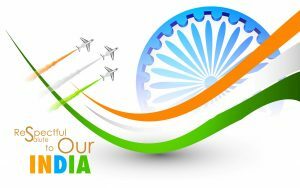 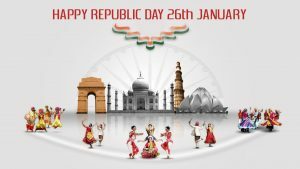 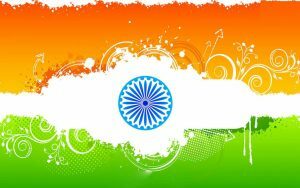 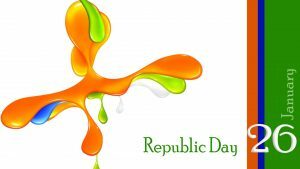 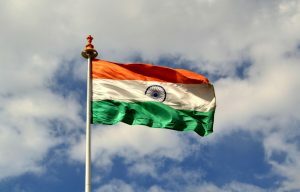 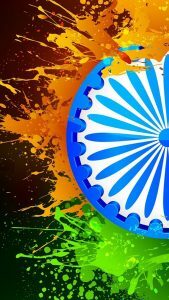 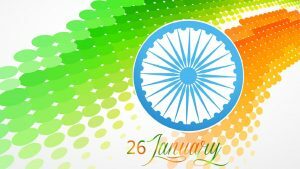 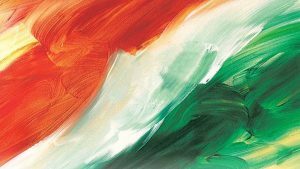 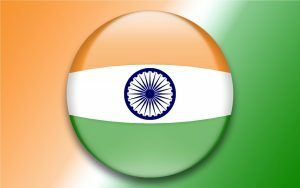 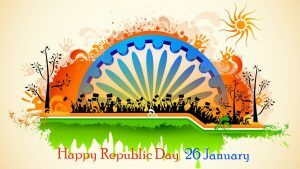 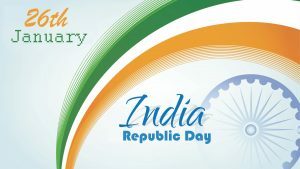 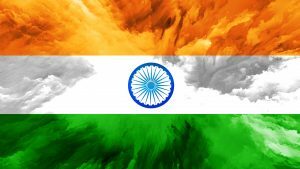 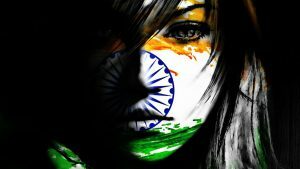 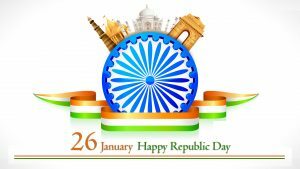 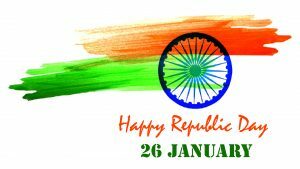 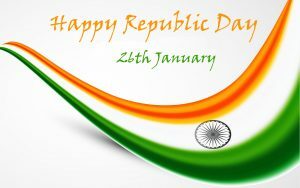 Annually, people of India celebrate their Republic Day on 26th January.